Mobjectivist obviously spent his weekend in the Wayback Machine and came back with a great editorial from George Pazik - Editor & Publisher of "Fishing Facts" magazine in November 1976, when the Oil Price shocks in the early 1970's were still a hot topic. Go and have a read of it and then wonder how you only became aware of peak oil in the last couple of years. 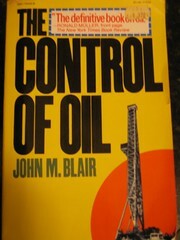 As it happens, I've also been venturing back to the 1970's occasionally, via a book called "The Control of Oil" by John M Blair, which was also published in 1976. I found this (yellowing and very aged looking) book during a visit home earlier in the year, and I've been slowly ploughing through it ever since (on returning to Sydney with this tome, one of my friends noted that my oil obsession is obviously a hereditary thing). This book was written in the aftermath of the oil price shocks - the style is very dry - 1970's academic bureaucratese, so its not a light read, but a lot of the facts contained within make interesting reading. The book begins by summarising the history of the oil industry leading up to the start of the energy crisis. This includes an analysis of the lead up to the original Hubberts Peak (of US oil production). They present a range of estimates for world ultimately recoverable oil reserves - all around the 2 billion barrel mark still predicted by the ASPO. The parallels to the present time are uncanny - the American Petroleum Institute and the oil companies all increasing their reserve estimates upward over the preceding decade and denying that a peak would occur, only for them to have to admit (once the peak in US production had occurred and was obvious to all) that they were wrong and the original estimates from the 1950's had been pretty much correct. It also notes that there was a surge in excessive consumption leading up to this peak - bigger and bigger cars and more and more uses for oil. Apparently the reason for the lying about reserves was to keep import quotas in place, in order to protect the profits of the local oil producers (who made up a cartel called the Texas Railroad Commission). Unfortunately the author discounted the main oil peak (at that time predicted for around 2000) on the basis that, at the time, this was a full generation away, and that therefore the world will have moved onto a more sustainable and efficient energy model (he uses hydrogen as an example) and will have given up gas guzzling cars etc. The first part looks at the history of how the oil majors (known as "the seven sisters" at the time - Exxon, Mobil, SoCal, Texaco, Gulf, BP and Shell) manoeuvred to control the majority of the non-communist world's oil reserves, particularly in the middle east. In particular this involves examining the structure of the oil companies created in Iraq, Saudi Arabia, Kuwait and Iran, and the measures taken to ensure that the local governments followed the instructions of the oil companies, including the overthrow in the 1950's of Iran's democratically elected government of Mohammed Mossadeq when he tried to nationalise the oil industry (he was replaced by the Shah). Middle east oil was important to the oil majors in the days when there was far more supply available than required by the industrial economies of the time. The oil majors put in place a series of byzantine arrangements (such as the Achnacarry agreement) in order to restrict production and control the distribution (called "marketing") of oil in order to maintain their desired profit margins and minimise the possibility of competition arising. The history of the Iraq Petroleum Company (IPC - a joint venture of BP and some of the american oil majors), is also examined in some detail, in particular the suppression of oil discoveries in Iraq in order to prevent the Iraqi governmnet forcing the IPC to develop newly discovered oil fields. Iraq was used as the "swing producer" in the middle east for a long period of time, with production throttled back and forth as demand required (Saudi Arabia and Iran were less amenable to this sort of manipulation). There is also a brief section on the attempt of the Italian state owned energy companies under Enrico Mattei to break the hold of the majors on oil refining and distribution in Italy. Mattei was successful for a while, but eventually he began expanding his enterprises outside and elsewhere in Europe and action was taken. Political pressure was applied to put a stop to this (with Exxon even donating money to the Italian Communist party - not a common move by American multinationals during the cold war - in order to get them to support moves against Mattei), and Mattei died in a mysterious plane crash, which put an end to the entire experiment. The second section of the book looks at how oil production and distribution were controlled within the united States. The role of Rockefeller's "Standard Oil" monopoly is only briefly touched on, but the behaviour of the cartel of oil companies that resulted from the breakup this organisation is examined at some length, along with the role of the TRC in restricting production within the US (prorationing), and the import controls put in place by the government to restrict imports of foreign oil. The astounding range of tax breaks and transfers of money from the US Treasury to the oil companies is also examined at some length. I think pretty much every person on the planet has been financially screwed by the oil companies at some point over the past century (not to mention the British and French navies during world war II, which they complained vociferously about, to no avail). Part 3 is where you can see how a lot of the conspiracy theories (and facts) about the oil industry (some of which attempt to debunk peak oil) come from. It discusses the events in the years leading up to the oil price shocks of 1973 and 1974. The oil price shocks were enabled by a range of factors - the arrival of Hubbert's peak for US oil production, and what Blair calls "The Evisceration of the Libyan Independents" (where Colonel Gaddafi's coup somehow resulted in the independent oil producers operating in Libya, who had made major dents in both the oil price and the market share of the majors, suddenly being effectively wiped out) and "The Crippling of the Private Branders" which describes how the majors throttled the supply of oil to the independent petrol retailing chains and refineries in the US. By the time 1973 arrived, the majors were in a position where they once again controlled the oil coming into the US and the retailing of petrol and other refined oil products. Towards the end of the year, the Arab oil "embargo" was put in place and the price of oil sky-rocketed - as did the profit margins of the oil majors. In spite of the widely held belief that this event somehow restricted the flow of crude, in actual fact the total oil production for the year grew at the customary 10% over the previous year (oil production growth was carefully managed for many years to achieve approximately 10% growth in supply each year - which made for a very smooth "Hubbert curve" up to the mid-1970's) - the "embargo" was preceded by a rapid rise in production for the preceding 6 months. 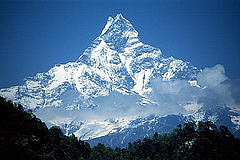 The author died in 1976 after the book was published at the age of 62. I can't find any references as to what he died of. There is also some examination of alternatives to oil towards the end of the book - all the usual candidates are there (nothing much has changed in 30 years), with the author having a lot of interest in shale oil as well as the renewable alternatives. As its getting late I'll leave the discussion of shale oil for another day. I am tempted to ask for help in retrieving more old articles from that era. Those who don't learn from history are doomed to repeat it, or so they say. Yeah - its fasciniating just how much was known about it back then. The problem with stuff that old is that not much of it has made its way onto the net, so finding out it even exists is difficult. I like your Bucky Fuller refernce today by the way.
" Apparently the reason for the lying about reserves was to keep import quotas in place, in order to protect the profits of the local oil producers (who made up a cartel called the Texas Railroad Commission). " Uhhhhhh , the Texas Railroad Commission is a regulatory agency of the State of Texas. Far from a " cartel " . Methinks you not know of what you speak, maybe you should not speak. Well - if you know more than I, then my apologies for sullying your brain with my amateur interpretation of history. It does not have jurisdiction over public utility companies; that falls under the jurisdiction of the Public Utility Commission of Texas. The East Texas oil field’s discovery sparked a boom in production that sent prices plummeting. After a lengthy battle, the Railroad Commission won the right to limit the production of oil to keep the price of oil from falling too low. Because of this regulation, the commission was important to the national and international energy supply until the 1970s. It also served as a model in the creation of OPEC.